Activity-tracking wristbands have a user-loyalty problem: People buy these wearables with high hopes of getting in shape, then toss them in the drawer after discovering they’re not magic fitness pills. But now the maker of Fitbug, one of the earliest activity trackers of all, thinks it can reduce user attrition rates with its new KiQplan health and exercise platform. Announced Tuesday, KiQplan is a set of “interactive coaching programs” that are tailored to very specific exercise goals, and work with a wide number of activity trackers, including those from Jawbone, Nike, Misfit, Withings and Fitbug itself. Four 12-week programs will be available at launch. 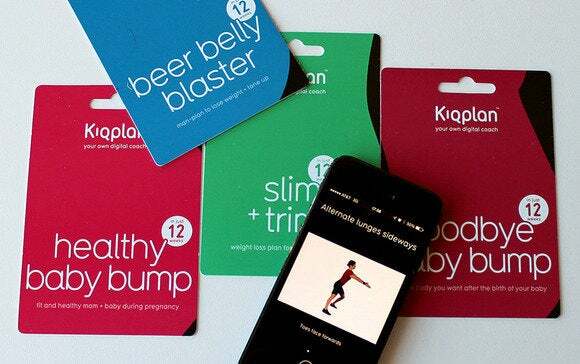 “Beer Belly Buster” is targeted at men, while “Slim+Trim,” “Healthy Baby Bump” and “Goodbye Baby Belly” are targeted at women, from non-natal to pre-natal to post-natal. 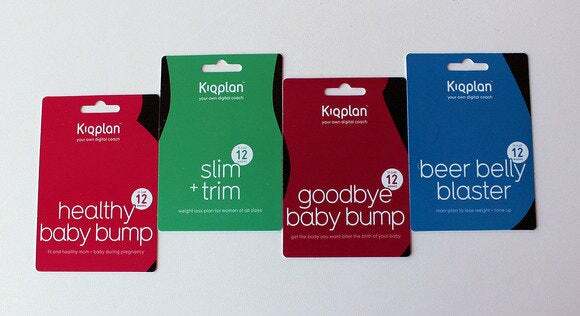 But here’s the novel thing: You get started with KiQplan by buying a $20 card at a physical retail location. At launch, you’ll be able to find the cards inside the technology sections of Target Stores. Each slab of plastic bears a QR code, which you pair with either your Android or iPhone. From there, you’re off to the races with a customized app loaded with fitness goals, including challenges for daily steps, calorie intake, and sleep. The KiqPlan app also integrates a bunch of fitness videos that are specifically designed for whatever 12-week program you’ve purchased. The story behind the story: Activity-tracking wristbands have become commodity hardware that everyone makes, but very few people actually seem to want. A recent study by Endeavor Partners indicates that as many as one-third of all users stop wearing their fitness bands after six months of purchase. Just imagine if one-third of all smartphone users dropped off at the same rate. It’s inconceivable. So Fitbug is trying to solve a serious problem that the entire wearables industry needs to be concerned about. 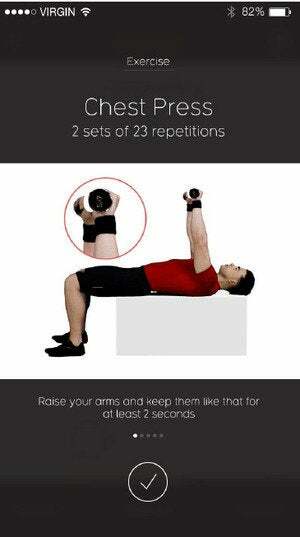 With KiqPlan, the company is essentially trying to replicate the Jane Fonda workout tape of the 80's. Except now it’s been updated for the app-happy world of mobility. Why make hardware when you can get people hooked on an ever-growing (and possibly addictive) library of feel-good motivational aids? Fitbug says it has already shot more than 350 exercise videos, and from what I’ve seen, they’re well produced and easy to follow. To track your daily calorie intake, there’s a built-in food tracker, but the program also integrates with the popular MyFitnessPal platform, if you want to use that app instead. Your step, sleep and calorie burn numbers are pulled in from APIs supported by the activity-tracking hardware listed at the top of this article. And there are other value-adds: Besides the customized exercise routines, activity targets, and nutrition goals, each KiQplan hits you with a coordinated stream of motivational tips, health-focused articles, and even recipes. And, of course, because this is a mobile platform, there’s a social element too: Friend another KiQplanner, and begin swapping exercise advice and motivational wisdom. In total, it looks to be an incredibly ambitious platform from a fit-tech hardware company that’s long been lost in the scrum of Jawbones, Fitbits, and Gears. 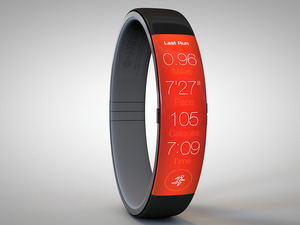 Now we get to see whether consumers will finally get the concept, and stick with a wearable program once and for all.